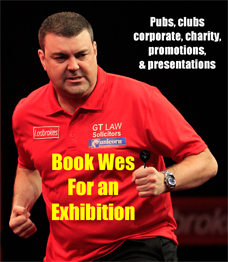 Wes left Belfast’s Odyssey Arena in an optimistic mood following his opening game defeat to James Wade in the 2013 Premier League darts. “It was an awesome experience and brilliant to be on stage in that atmosphere, but it would have been better if I’d won! “I was a bit nervous, and maybe that showed in my finishing because I missed a lot of doubles. “I was a bit rusty on my finishing and that cost me the game, but I’ll be back.” The pair shared the opening four legs before Wade cashed in on Wes’ double trouble to forge a 3 leg advantage. Wes then reeled of consecutive legs to break back and reduce the deficit to just one leg. 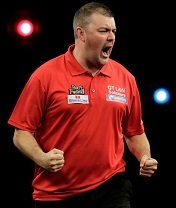 With the score now 5-4 in favour of Wade, Wes again missed crucial doubles as Wade went on to secure the 7-4 win. Wes added, “To be asked to be involved with a company as respected as Cash Converters only proves to me that hard work does pay off, I look forward to forming a great relationship and no doubt will be seen in a High Street near you. “There are exciting times ahead for me and I thank everyone involved for their belief in me”. 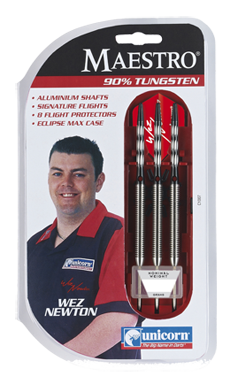 WesNewton180.co.uk makes no representations or warranties in relation to the legal information on this website.